"A Victorian boarding school story, a Gothic mansion mystery, a gossipy romp about a clique of girlfriends, and a dark other-worldly fantasy . . . an impressive first book in what should prove to be a fascinating trilogy." "An interesting combination of fantasy, light horror, and historical fiction, with a dash of romance thrown in for good measure...Recommend this to fantasy fans who also like Sherlock Holmes or Mary Russell." "A delicious, elegant gothic." --PW, Starred "A Gothic novel touched by modern conceptions of adolescence, shivery with both passion and terror." --Kirkus Reviews "A true boarding-school drama, full of cattiness, Victorian repression, and steamy schoolgirl dreams of being ravished by virile gypsies." --The Bulletin, Recommended "This classic boarding school drama with gothic tones deals with real issues . . . a compulsively readable story." 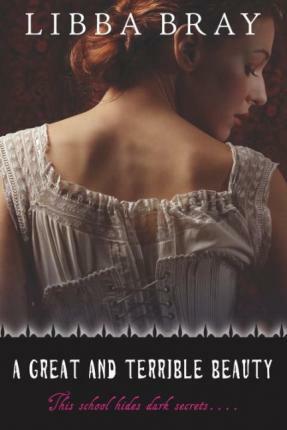 --VOYA "[An] engrossing, imaginative Victorian-era novel . . . An unconventional book that entertains to the end and stays with you long after." --BN.com "A Victorian boarding school story, a Gothic mansion mystery, a gossipy romp about a clique of girlfriends, and a dark other-worldly fantasy . . . an impressive first book in what should prove to be a fascinating trilogy." --Amazon.com "An interesting combination of fantasy, light horror, and historical fiction, with a dash of romance thrown in for good measure...Recommend this to fantasy fans who also like Sherlock Holmes or Mary Russell."